Where do I begin?! I was so excited for Delisa & Josh's wedding day to finally arrive! I knew it was going to be gorgeous and fun! Post Card Inn on the beach is one of my all time favorite wedding venues. It has so much personality and character. 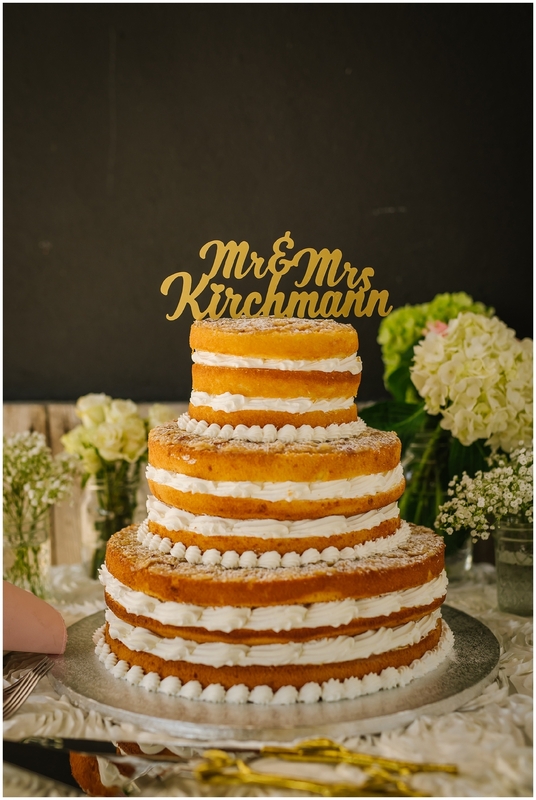 It was the perfect setting for this fun, romantic, and beautiful couple. I started the day with all of Delisa's pretty little things in the awesome lobby. I'm obsessed with all of the colors and textures there and it was the perfect backdrop to highlight her details. From there things got real! 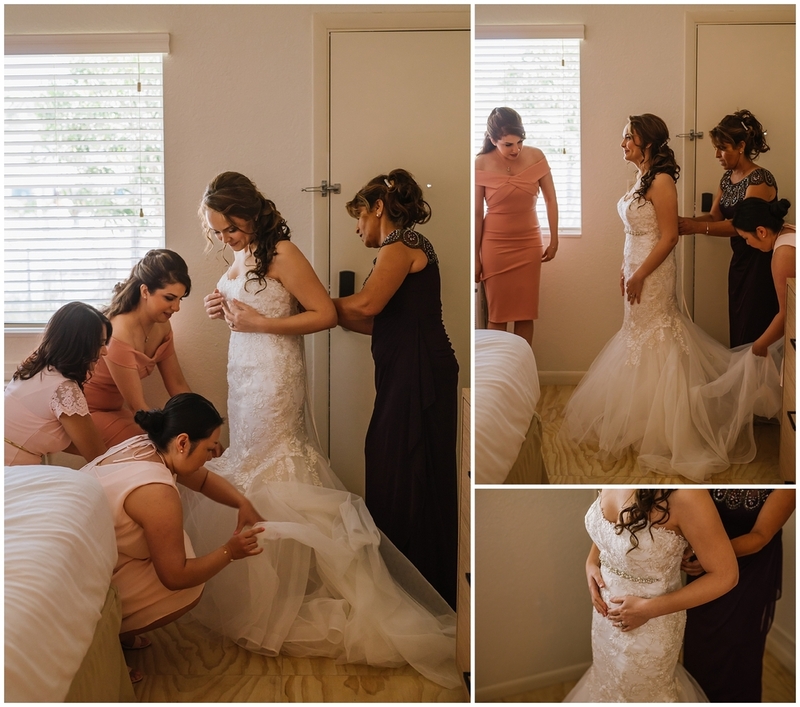 Delisa was caught between tears and laughter as she pulled on her beautiful gown. Her awesome bridesmaids each flaunted a different dress style in a tone of perfectly blush pink. Once all the dresses were on it came together for a really stunning and dynamic look. So sophisticated! I mean can we talk about how much her maid of honor slayed in the feathers!? Before we knew it it was time to go down the aisle! 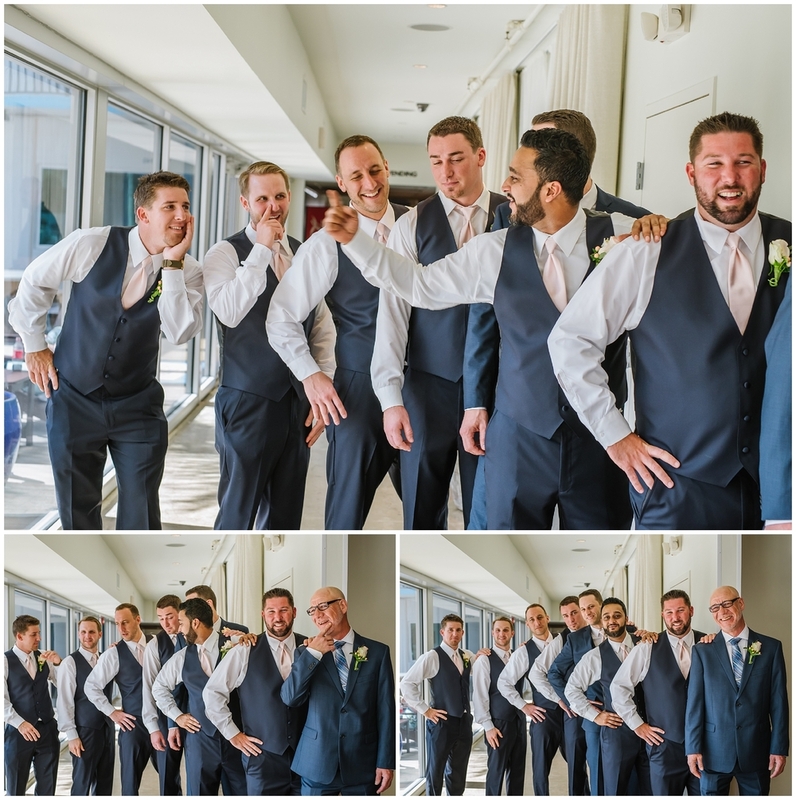 I goofed of with the boys just before the guests were seated and music started. Josh was grinning ear to ear! 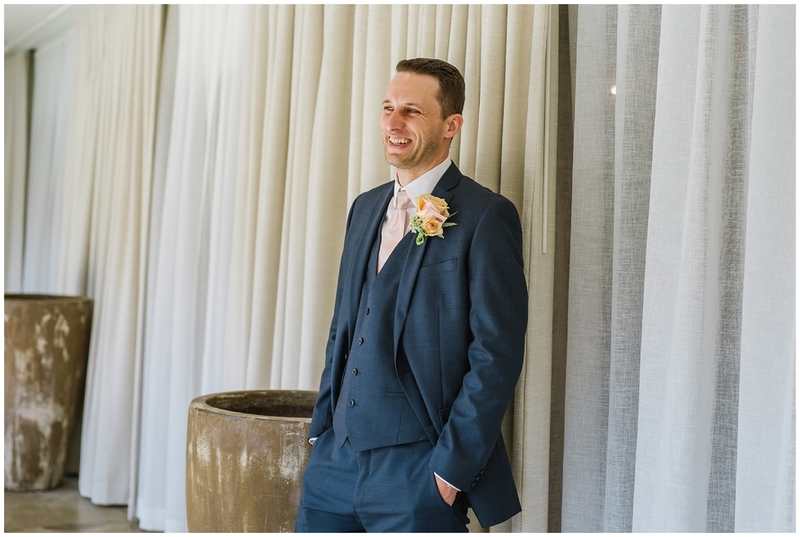 His gran morphed into an awe struck but contented beaming when he saw his lovely bride come down the aisle, escorted by both her mother and father (loved that!). After the kiss the guests unleashed bubbles in perfect time! During cocktail hour we had a blast photographing in the gorgeous shade of the courtyard followed by fun in the lobby. 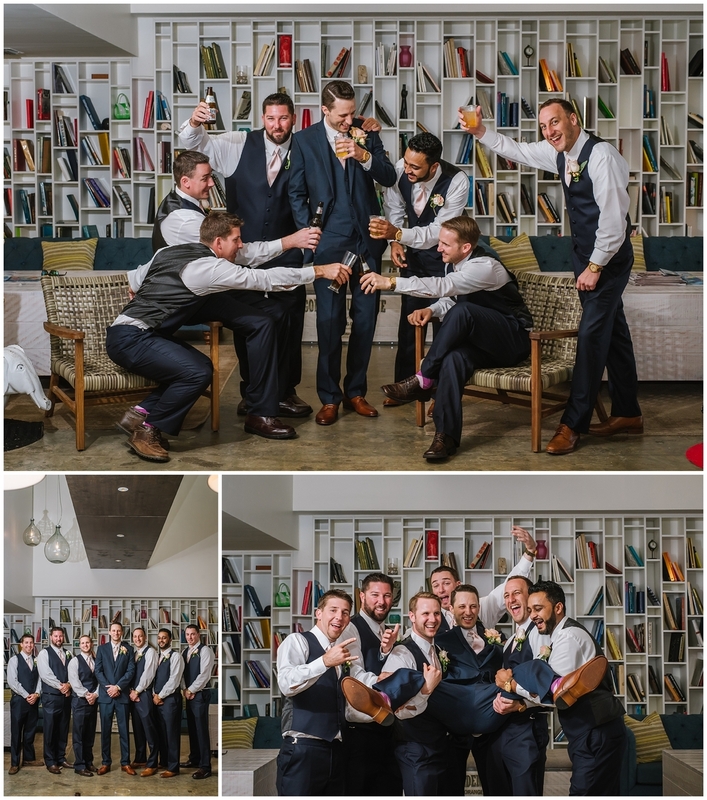 I loved having the jenga get knocked over in the last shot with the bridal party! 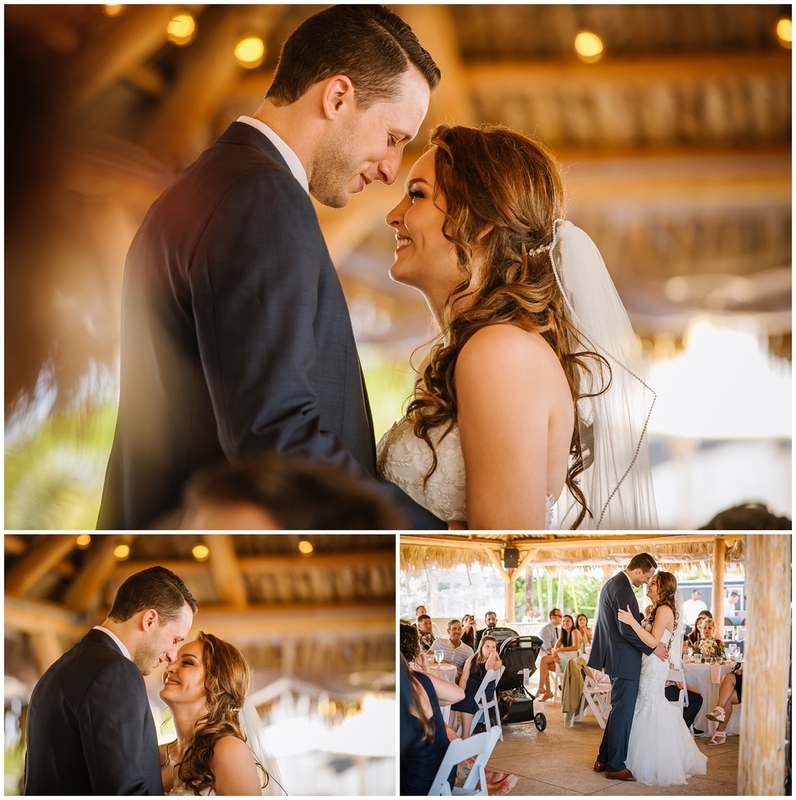 We were graced with PERFECT weather the entire day and it was really wonderful for their reception under the new thatched pavilion by the water. 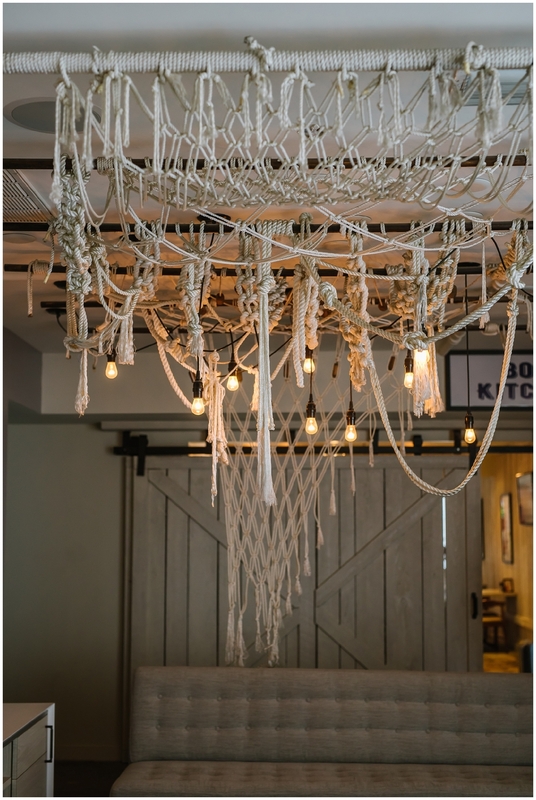 The hanging market lights were such a good addition too! The new Mr. & Mrs. treated their guests to beautiful decorated tables featuring drift wood, blush roses, coral, and succulents. It was so stunning. My favorite part of the reception has to be the toasts! The MOH had everyone laughing with her awesome speech highlighting how wonderfully dorky she and Delisa had been growing up in London in the 90's. And Josh's big brother brought everyone to tears with his sincere and heart melting toast. Perfection. For the grand finale it was time to take in the sunset! We strolled down to the waters edge and were in awe with how much color we had! Sunset portraits are one of my favorite things in the world. I even played around with taking some video snippets! I'm no videographer but I'm pretty happy with what I was able to put together using a combination of the video clips and stills. I was such a treat to surprise them with it! Please enjoy the highlights from this awesome day! Congratulations to the new couple! Love you guys!